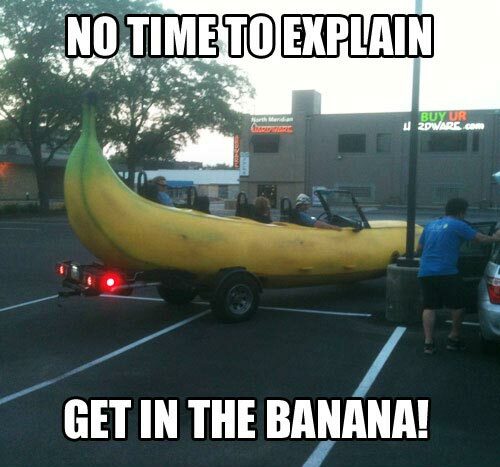 No time to explain. Get in the banana! Created about 6 yrs, 2 mths ago (February 12, 2013). Updated about 6 yrs, 2 mths ago (February 12, 2013).